Get outta town! 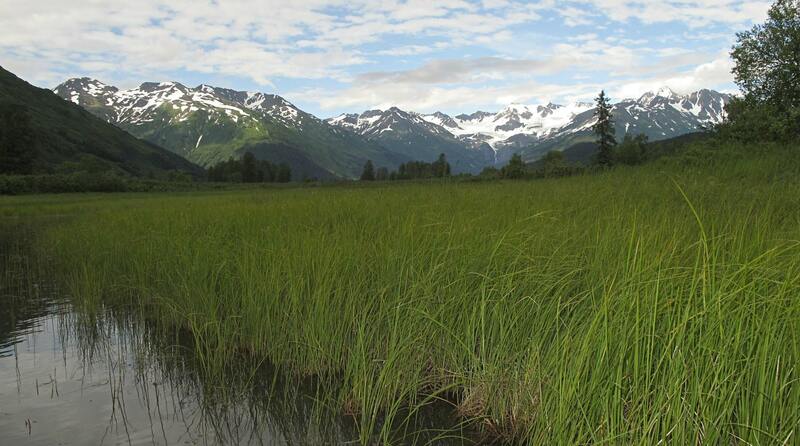 A short 10 mile drive north of Anchorage allows you to sample what Chugiak-Eagle River has to offer. FIREWORKS, ANYONE? Watch fantastic fireworks in the Land of the Midnight Sun! Eagle River Lions host the Fourth of July event at Lions Park. It begins at 6pm on July 3rd 2014 and features a full evening of festivities, concessions, and entertainment; and ends with a fabulous fireworks display at midnight. 4th of JULY PARADE! The Chugiak Area Business Association with support from the Chugiak Volunteer Fire Department hosts an old fashioned 4th of July Parade! The parade begins at 2:00 pm at Latimer Fire Station and ends at Chugiak Elementary on Friday, July 4th, 2014. Bring your bags for candy and enjoy one of our community”s oldest traditions! Come early and park along the parade route–the road starts closing at 1:00. More JULY FUN! Bear Paw Festival is the second week in July (July 9 – 13th, 2014) with events covering five days. Bear Paw features a large community parade, great hometown entertainment, carnival rides, games, vendors and hilarious contests like Slippery Salmon Olympics and Running with the Bears ñ Tri-Bear-a-Thon. Other noted events are the Bear Paw Royalty Pageant for high school age men and women, the Classic Car Show and Rotary’s Ididaduck Rubber Ducky Race. Bear Paw is coordinated and annually sponsored by the Chugiak-Eagle River Chamber of Commerce with the support of many of our businesses, members and nonprofit organizations. Visit the festival website at http://bearpawfestival.org for more info. ARCTIC VALLEY is one of the few places near Anchorage where you can drive up into the alpine environment! Look for the sign off the Glenn Highway to enjoy this scenic drive. It provides both easy and challenging hikes, along with stunning views. Bring your camera! EKLUTNA VILLAGE HISTORICAL PARK is centered in the native village of Eklutna with a smooth exit off the Glenn Highway. This site is the home of St. Nicholas Russian Orthodox Church. The church, documented as the oldest building in Anchorage with a construction date of approximately 1830, provides a glimpse into the historic Russian influence in the region. On the church grounds are brightly colored native spirit houses that rise above the graves in the ancestral burial ground. Eklutna Village Historical Park is part of the Orthodox Church. Please call to arrange for visiting from mid May through mid September for tours. Phone (907)-688-6026. 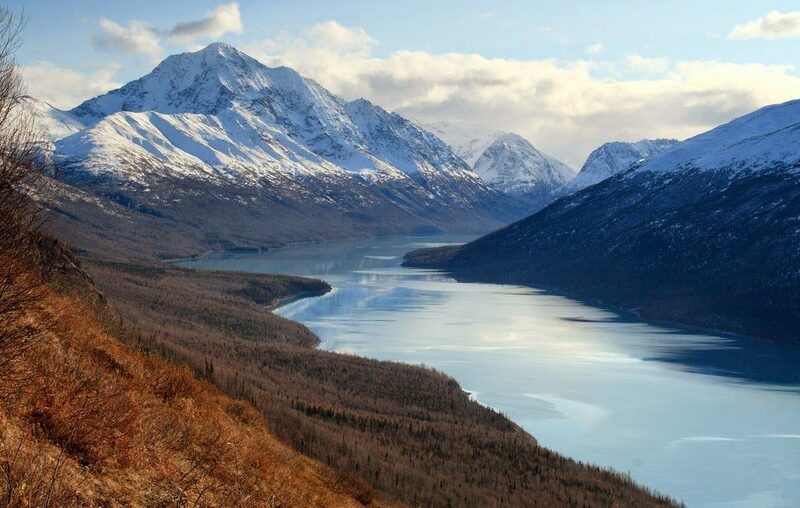 EKLUTNA LAKE offers hiking, ATVing, kayaking and mountain biking opportunities. Watch for signs off the Glenn Highway. Take this trail guide with you for a safe and fascinating day. 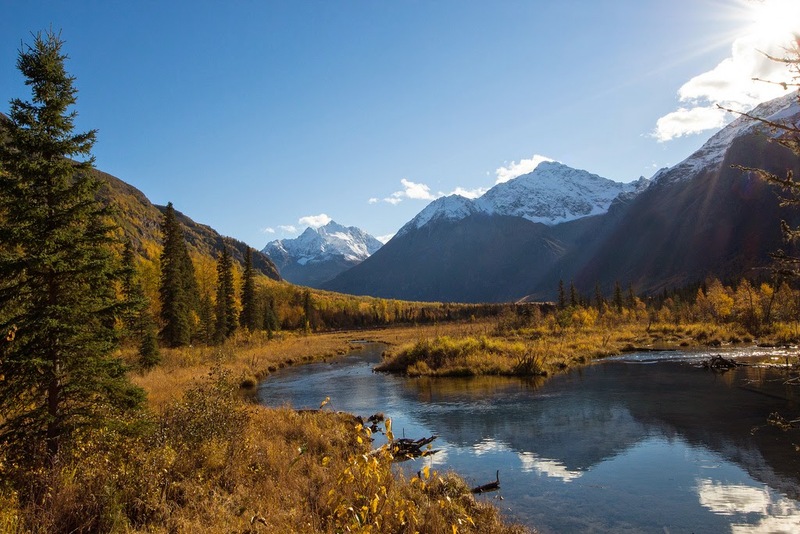 The Eklutna Lake brochure will round out the details you should know for a memorable time. The CHUGACH STATE PARK EAGLE RIVER NATURE CENTER is located at mile 12 of Eagle River Road and provides the gateway to Chugach State Park. Parking fee required. Summer and winter staffing hours vary. Call (907) 694-2108. SOUTH FORK of Eagle River is a 12 mile round-trip trail that offers easy access to the backcountry. One hikes through beautiful alpine country and a large boulder field to arrive at two alpine lakes. Access is off Glenn Highway, look for exit to Highland Road. Parking is located near the end of Hiland Road. 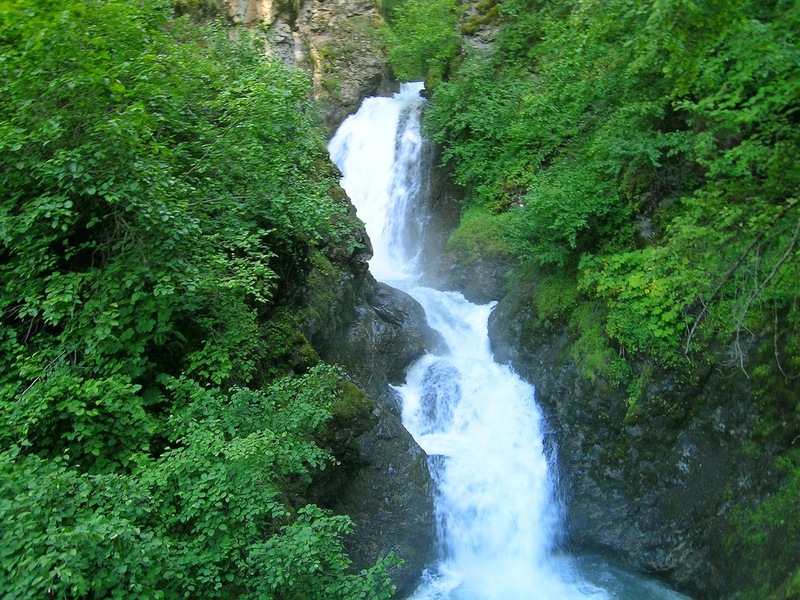 THUNDERBIRD FALLS is located in the northern part of our community and is the terminus of a comfortable one mile family walk on a well maintained trail. 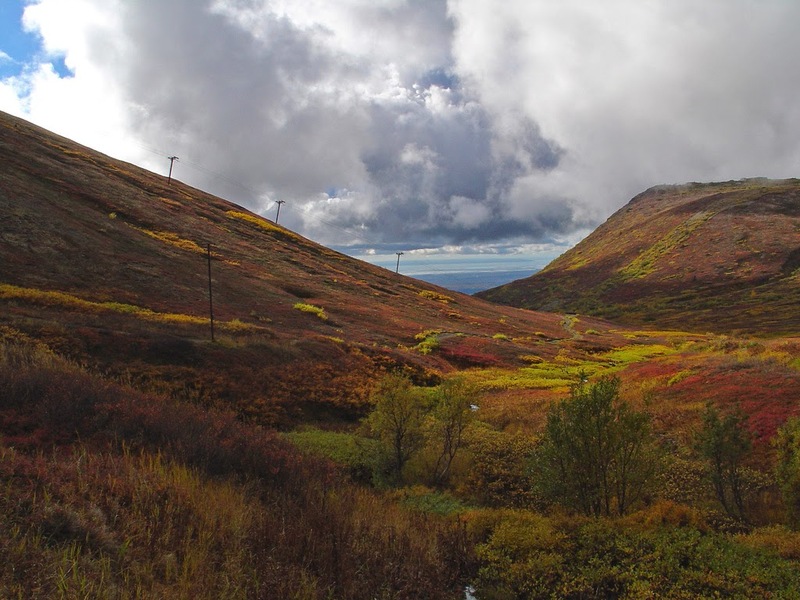 It is a must see for all who visit this area–look for the sign off the Glenn Highway past Peters Creek. This is another place to use your camera as you catch the essence of Alaska’s beauty! And when the day is done, consider staying at a bed & breakfast for a special treat. Hosts whose B&B bears the ‘inspected and approved’ certificate are peer reviewed by AABBA for your comfort and assurance.